San Diego is known for long, leisurely days at the sunny beach but at night, downtown San Diego becomes a fun, outgoing area with lively bars and pubs. With locally crafted beers, fancy cocktails, and a friendly atmosphere, San Diego bars are always a good time. 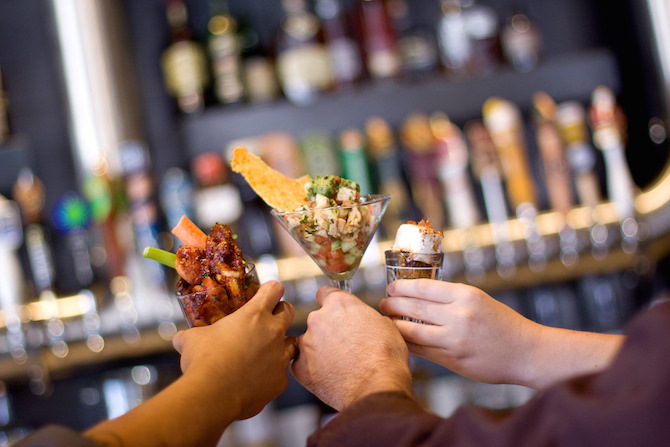 Read on to find the best bars, pubs, breweries and speakeasies in downtown San Diego. Kettner Exchange is the perfect blend of bar and a high-class restaurant. The head chef, Brian Redzikowski, makes every plate a fine dining experience, even bar food favorites like fried chicken and spicy shrimp are elevated to a classier level with fine ingredients and skilled cooking. Alongside the classics are unique dishes such as duck meatballs and coconut tofu soup, all of which go nicely with Kettner Exchange’s handmade drinks. The bar has a patio for those who wish to eat outside, as well as a private cabanas that can be reserved for groups. Located right next to Petco Park, home of the San Diego Padres, this bar is perfect for right after a baseball game or for anyone who wants a fun time. Rare Form is not just a bar but is also a deli, serving up classic favorites like pastrami sandwiches, Cubanos, potato salads, whole pickles, and matzo ball soup. The full bar serves locally made IPAs and unique cocktails like the ‘Bubbe’s daiquiri’ or ‘King bee.’ Those looking for a softer drink can order classic bottled soda pop or freshly made lemonade. Every night at Barleymash, a different band or DJ performs. Customers sit at large tables together in this sports bar as they watch games on big screens or glug drinks from the full bar and enjoy their food and fun. And the food is certainly something to be enjoyed, with creations like homemade ‘duck puppies’ made of shredded duck confit and ‘barleypies,’ flatbread pizzas made with barley and ale, the delicious food transforms this fun, loud bar into a gourmet experience. This Little Italy bar, with its stage for live music, multiple rooms, and friendly staff, has a real feel-good vibe and pleasant atmosphere. The bar’s selection of small plates is diverse, from Hawaiian ahi poke to Korean kimchi to Indian hummus and naan bread. This place keeps its customers supplied with all they could wish to drink, with long lists to select various cocktails and wines from as well as unique beers, some of which are made locally in San Diego. Half Door Brewing Co. | Courtesy of Half Door Brewing Co. 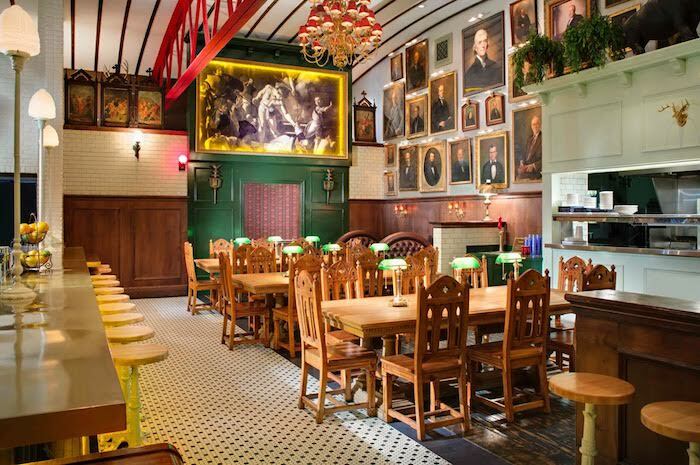 The bizarre paintings on the walls inside The Lion’s Share announce to all who enter that this bar is like none other. The menu follows suit with its illustrations and unique items like antelope sliders, bison tartare, caviar and quail deviled eggs, and rabbit hand pie. The staff at The Lion’s Share, are all really friendly and warm and welcome every customer into their world and make sure they’re comfortable for the ride. The full bar has an impressive, staggering list of whiskeys, wines, beers, and cocktails. With Vancouver Canucks jerseys and decor lining the walls, poutine on the menu, and big flat screen TVs, Stout Public House is the go-to pub in San Diego to watch a big hockey game. This pub is a slice of more than just Canada, however, and also has Irish pub favorites such as corned beef and cabbage, Guinness stew, and chicken pot pie. Guinness and Irish cider are some of the more popular drinks, but the pub also has a full selection of wines, beers, and spirits. Waterfront Bar & Grill was opened just after prohibition was repealed in 1933, making it San Diego’s oldest bar. This is a real classic bar, with free popcorn and leather barstools. Their happy hour is one of the most popular in town with complimentary small bites and cheap draft beer. Their menu is full of typical bar favorites like nachos, sliders, corn dogs, chicken wings, and more. Their burgers have been called ‘the best in town’ by many and they have a full bar with an impressive selection of drinks. Located in a three-story bright yellow and white painted building, The Tipsy Crow is a classy, old-school bar, where the price of drinks is determined by a ‘drink exchange’ based on their popularity. ‘The underground,’ the bottom floor, is a club with a room for dancing and music. ‘The main’ floor in the middle is the traditional bar with a bar and stools. The top floor of The Tipsy Crow, ‘the nest,’ is a hip lounge, with couches, a pool table, a smooth hardwood floors. The Tipsy Crow has a wide selection of beers on tap as well as various fun cocktails to try. The Noble Experiment is a true speakeasy. 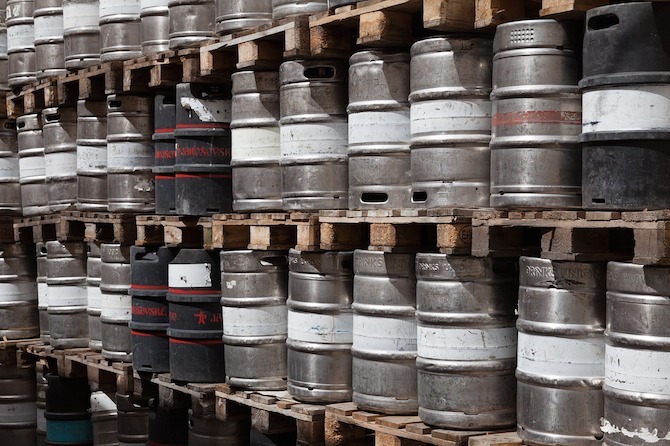 Hidden in the back of The Neighborhood, all who wish to enter must push through a wall of kegs by the back wall. Despite the secrecy, The Noble Experiment is popular and reservations must be made by text a week in advance, but getting in without a reservation is not unheard of. Once inside, bargoers are treated to fine, unique cocktails made with fresh-squeezed juices, and decorative skulls staring back at them from a wall.